Find fun things to do in Ottawa, ON. View our list of attractions, activities, events, restaurants and visitor information. Canada's national museum of military history Located on the south bank of the Ottawa River, the Canadian War Museum is one of Canada’s most significant museums. The OCF is an annual celebration of theatre, dance and music Creating programs for children aged 2 to 15, the Festival focuses on enriching school curriculum and promoting different art forms and staying active as an integral part of children’s education; strives to present work that excites and challenges audiences of all ages. Currently as low as $134.19/night! 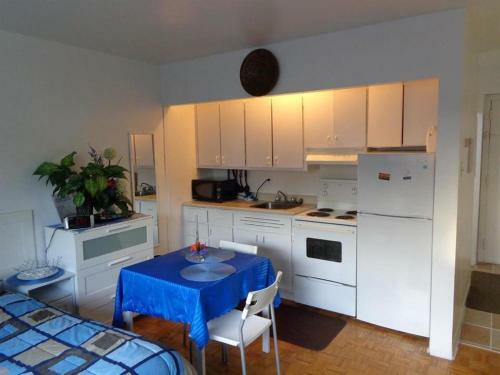 This downtown Ottawa apartment building is adjacent to the University of Ottawa and a 5-minute walk from the Ottawa Convention Center. It offers an indoor pool and free Wi-Fi. Free Internet, Indoor Pool, Pets Allowed. Currently as low as $52.29/night! This bed & breakfast features rooms with access to free Wi-Fi and provides guests with a daily hot breakfast. The property is adjacent to the Voyageur Bus Terminal.Air conditioning and cable TV is standard to all rooms at A Voyageur's Guest House. Free Internet. Currently as low as $84.87/night! 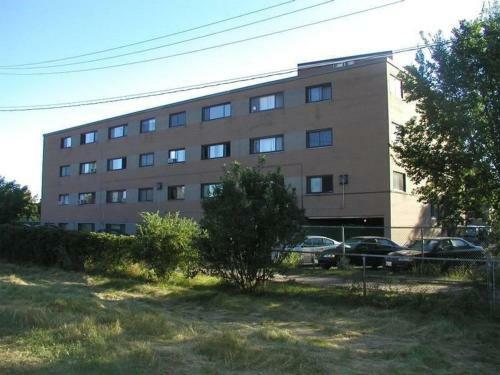 A 10-minute drive from Macdonald Cartier Airport this Ottawa motel is 9.6 km from downtown. The motel offers a fitness centre free Wi-Fi and a daily continental breakfast.Adam's Airport Inn features a small refrigerator and free local calls in every guest room. Free Internet, Non Smoking Rooms. Currently as low as $50.47/night! 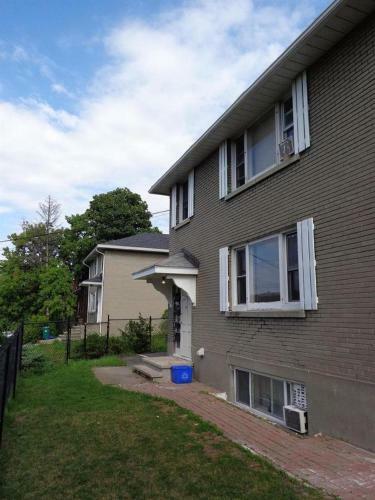 Young Basement Apartment 4 offers accommodation in Ottawa 1.8 km from Rideau Canal. The air-conditioned basement unit is 2 km from Canadian War Museum and guests benefit from free WiFi and private parking available on site. Free Internet, Non Smoking Rooms. Currently as low as $55.79/night! Situated 2.5 km from Rideau Canal and 4 km from Ottawa Convention Centre Ottawa Convention Centre Gilles Basement Apartment 4 offers accommodation in Ottawa. 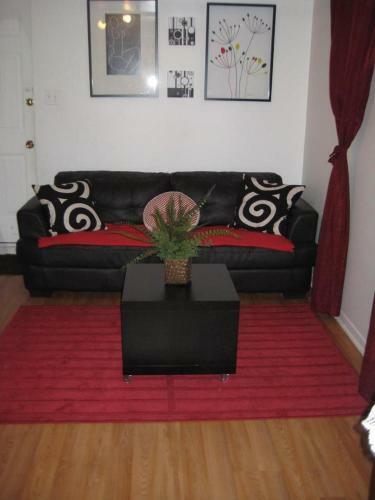 Guests benefit from free WiFi and private parking available on site.This is a basement apartment. Free Internet, Non Smoking Rooms. Currently as low as $122.22/night! 7 km from TD Place Stadium Adib Apartments - 1689 Baseline Rd Unit A2 is situated in the Nepean district of Ottawa. 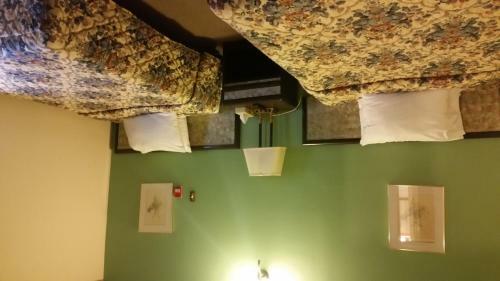 The air-conditioned accommodation is 7 km from Canadian War Museum.The apartment is fitted with 2 bedrooms and a fully fitted kitchen with an oven. Free Internet, Non Smoking Rooms. Currently as low as $127.72/night! Located in Ottawa just 8 km from Canadian War Museum Adib Apartments - 2448 Carling Ave Unit 104 provides accommodation with free WiFi. The apartment is 9 km from TD Place Stadium.This apartment will provide guests with 2 bedrooms a flat-screen TV and air conditioning. Free Internet, Non Smoking Rooms. Currently as low as $100.93/night! Situated in Ottawa within 8 km of Canadian War Museum Adib Apartments - 2448 Carling Ave Unit 107 offers accommodation with air conditioning. The TD Place Stadium is within 9 km of the apartment and free WiFi is provided. Free Internet, Non Smoking Rooms. Currently as low as $63.86/night! Adib Apartments - 2448 Carling Ave Unit 300 offers accommodation in Ottawa 8 km from Canadian War Museum and 9 km from TD Place Stadium. The air-conditioned accommodation is 9 km from Supreme Court of Canada. Free Internet, Non Smoking Rooms. Adib Apartments - 2448 Carling Ave Unit 404 in Ottawa offers accommodation with free WiFi 8 km from Canadian War Museum. The property is 9 km from TD Place Stadium.The apartment is equipped with cable flat-screen TV 2 bedrooms and a living room. Free Internet, Non Smoking Rooms. Located in Ottawa within 1 km of Ottawa Convention Centre Adib Apartments - 362 Friel St Unit 11 offers accommodation with free WiFi and air conditioning. 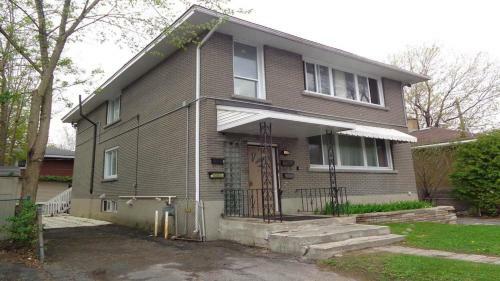 This property is 1.2 km from Rideau Locks. Free Internet, Non Smoking Rooms. Currently as low as $111.23/night! Situated in Ottawa 1 km from Ottawa Convention Centre Adib Apartments - 362 Friel St Unit 12 features a living room with a flat-screen TV and free WiFi. 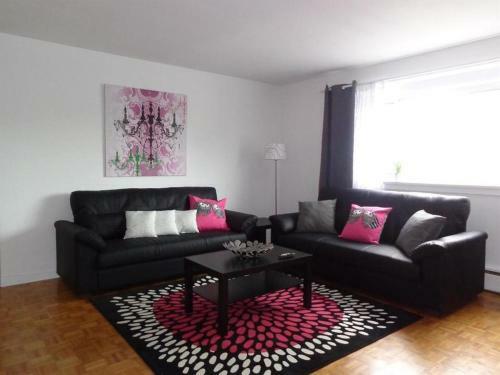 This apartment is 1.2 km from Rideau Locks and 1.2 km from U.S Embassy. Free Internet, Non Smoking Rooms. Currently as low as $111.24/night! Located in Ottawa 1 km from Ottawa Convention Centre and 1.2 km from Rideau Locks Adib Apartments - 362 Friel St Unit 5 offers air conditioning. 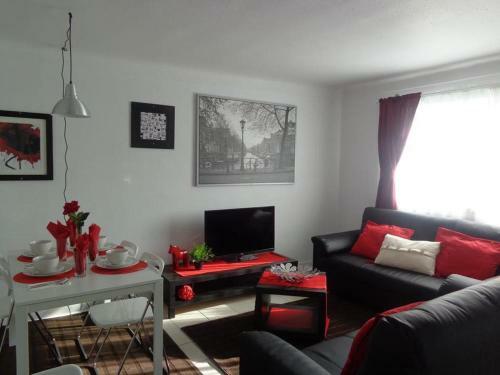 This apartment is 1.2 km from U.S Embassy and 1.5 km from Parliament Hill. Free Internet, Non Smoking Rooms. Adib Apartments - 630 Cummings Ave Unit 11 is set in Ottawa 3.9 km from Rideau Hall 4.1 km from 24 Sussex Drive and 4.2 km from Embassy of France. 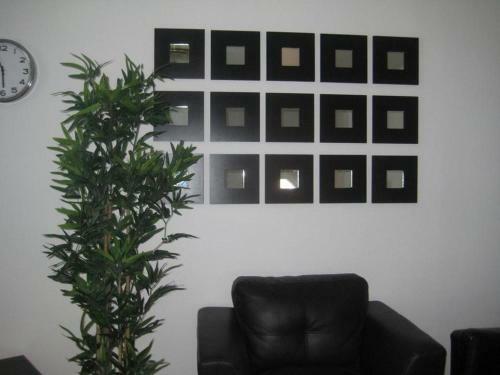 Free WiFi is available in the apartment situated 5 km from Ottawa Convention Centre. Free Internet, Non Smoking Rooms. Currently as low as $137.32/night! Adib Apartments - 840 Woodroffe Ave Unit 1 in Ottawa offers accommodation with free WiFi 7 km from Canadian War Museum 8 km from TD Place Stadium and 8 km from Supreme Court of Canada. 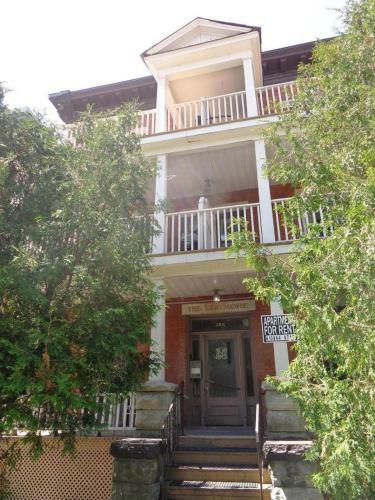 The property is 9 km from Peace Tower and 9 km from Parliament Hill. Free Internet, Non Smoking Rooms.